A young woman who became an internet sensation as a Daniel O'Donnell 'superfan' was jailed for seven years for her role in a high-tech cocaine extraction factory. 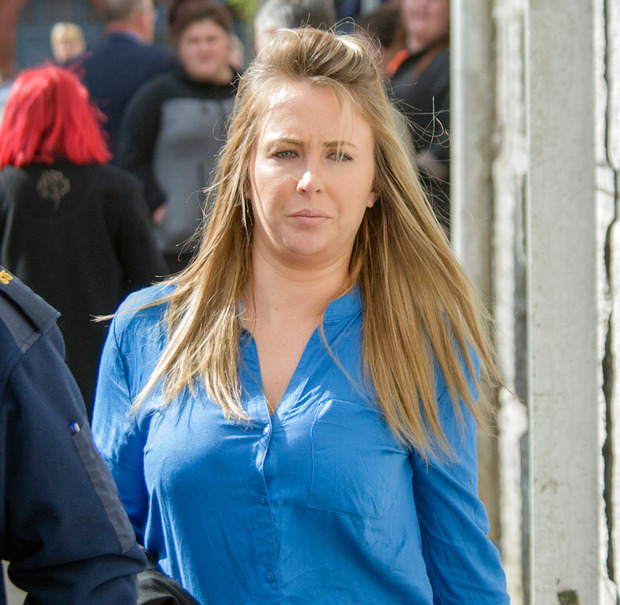 Molly Sloyan (25) appeared before Cork Circuit Criminal Court on charges arising from a Garda raid on a rented house in Bantry in west Cork last year. Judge Sean O'Donnabhain heard from Det Sgt Joanne O'Brien that cocaine was chemically implanted in fabrics in South America. It was then shipped from Brazil to Ireland where, at a rented house in west Cork, special chemicals were used to wash the cocaine out of the fabric. When gardaí raided the Bantry property, rented by Ms Sloyan, they found drug paraphernalia including masks and gloves. Cocaine was found with a street value of more than €51,000. Sloyan's boyfriend, Sean McManus (37), was jailed for 12 years. The court heard he was jailed for seven years in 2009 for having drugs for sale or supply. He was released early after contracting a blood infection. A father and son arrested by gardaí at the west Cork cocaine factory were also jailed. William Gilsenan (52), a father of four and a grandfather of five, was jailed for five years. His son, Dean (27), was jailed for seven years. McManus is from Burrowfield Road, Baldoyle, Dublin, while William and Dean Gilsenan have addresses at Kilmahuddick Green, Clondalkin, Dublin. Sloyan is originally from Abbey Court, Kinsale, Co Cork, but also has an address in Benidorm, Alicante, Spain. All four had pleaded guilty to possession of drugs for sale or supply at Drumleigh, Bantry, Co Cork, on November 26. The court was told that Sloyan was like "a 16-year-old" and "infatuated with her new boyfriend [McManus]", whom she met in Spain. The judge said the level of planning, sophistication and technical know-how involved in the specific drug enterprise was very significant. Sloyan and McManus briefly held hands during the sentencing hearing. Two years ago, a video of Sloyan in the audience of RTÉ's 'The Late Late Show' for a St Valentine's Day special went viral. Viewers were captivated by her reaction to the fact the show featured a Daniel O'Donnell impersonation by comedian Mario Rosenstock rather than a song by the Donegal star himself.